I love that in Australia and New Zealand, what we would call bars they call ‘slices’. Slices are availible everywhere in many flavours, but I think the most popular must be caramel. Coconut bottom, caramel middle and chocolate on top. 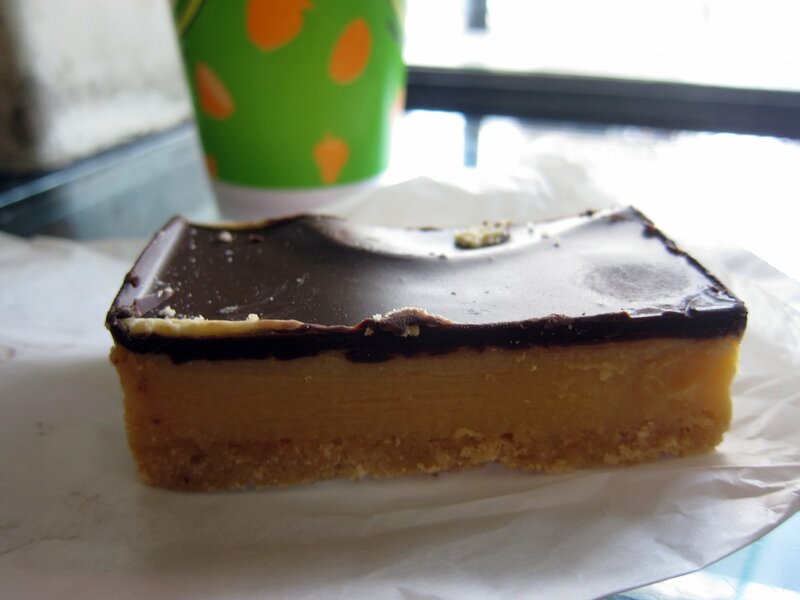 We didn’t really like this caramel slice, purchased at the Melbourne market – it was way too sweet. However, we had a delicious meringue from the same bakery, so it all worked out!